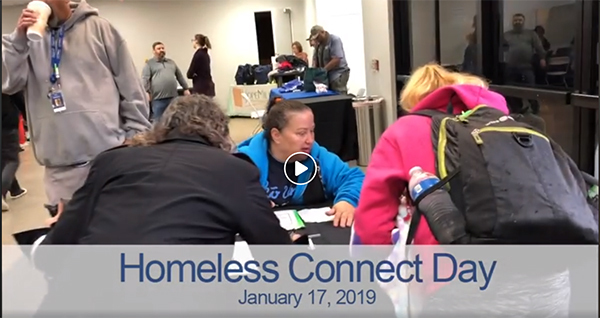 This week, Council District 12 held our latest Homeless Connect Day. Homeless Connect Day is when we bring the various resources and many service agencies that can help individuals experiencing homelessness get their lives back on track including signing up for supportive housing, health services, connecting with faith groups that can provide a network of social support, and more. A key element of our Neighborhoods FIRST program to address homelessness in Council District 12 is using the power of the Council Office to coordinate and bring together different and disparate resources. Non-profits, government agencies, clergy, and service organizations may have a difficult time coming together on their own. However as a Council Office that interfaces with all of these groups on a regular basis, we have the ability to convene these resources so that individuals experiencing homelessness can get easy access to the services that they need. This latest Homeless Connect Day was a great success. Despite heavy rain and cold weather, over 100 individuals experiencing homelessness came to Freedom Church in Chatsworth to access services. Just by showing up, these folks are able to connect with LA Family Housing so we can begin the process of getting them into housing. From there, we are able to provide essential hygiene tools as well as connections to sobriety, employment, and health programs that bring both hope and real benefits to people's lives. Thank you to Freedom Church for hosting this inspiring event. Also thanks to LA Family Housing and Chatsworth Kiwanis for providing key staff and organizational support and to our co-hosts in the Office of Supervisor Sheila Kuehl. Last, and most importantly, thanks to the dozens of organizations that came to offer their services and make Homeless Connect Day possible. If you are interested in how you can help individuals experiencing homelessness. Please consider signing up to volunteer for 2019 Greater Los Angeles Homeless Count taking place next week from January 22-24.